This document describes everything there is to know regarding Upgrade-UX, an Open Source upgrade and patching framework designed to assist the UNIX system engineer in patching or upgrading systems in a consistent and repeatable way with evidence before and after the running upgrade-ux. Upgrade-UX is ai software framework to update or patch lots of Unix systems (Linux, HP-UX, AIX and Solaris). The upgrade-ux uses configuration files which describes what a particular Unix Operating System requires to be upgraded in the way you want it (or designed it). Doing it this way allows you to exactly define how a system should look like after the upgrade or patching. Nothing else can be installed, removed or configured. Furthermore, many checks can be build-in via adding simple scripts (see chapter "Adding your scripts"). We also keep of each run an unique log file, and furthermore, we keep evidence before and after patching in a special directory. Months later we can still inspect these logs and evidence directories to verify what happened or what has changed in the meantime. In case you have questions, ideas or feedback about this document, you can contact the development team at: gratien.dhaese@gmail.com. The goal is to make Upgrade-UX as least demanding as possible, it will require only the applications necessary to fulfill the job upgrade-ux is configured for. Be aware, that upgrade-ux is completely written in Korn Shell, therefore, you must have the ksh executable on your UNIX system. To be sure you could type which ksh. If it is not present please install it first (most likely on Linux where it is not a standard package in base OS). The configuration files that upgrade-ux uses are basically just shell scripts and should be treated as such. The default location of the configuration files is /etc/opt/upgrade-ux/. However, if you are working with the sources (e.g. via git clone) then it is perfectly possible to use the relative paths, e.g. The default.conf contains lots of variables which should not be changed by the end-user. If you wish to modify one just redefine it in the local.conf file. However, in some cases as mentioned above, if you are in the year 2015 and you still want to install patch bundles of 2014 then it is necessary to define the YEAR variable in the local.conf file, as YEAR=2014 (or whatever, the year might be). The local.conf should only contain variables which you want to overrule, as described in previous section (of the default.conf file). It is important to know that the local.conf file is the last configuration file read by upgrade-ux script and therefore, the variables defined in there are the last ones that will be used. On each OS you have specific OS related configuration files, e.g. options      =       "-x mount_all_filesystems=false  -x enforce_dependencies=false"
# please list the software bundles which do not require a reboot first!!! options      =       "-x mount_all_filesystems=false -x autoreboot=true"
You can use as many comments as you like, but it should start with # or ; sign. A stage or section is started with [section] header. The name within a section is known as a stage within upgrade-ux. A section may be empty or may contain arrays (some of those may be left out and will be treated as empty strings). An array will always be treated as a string by the way. The content of arrays are wiped out when you enter a new stage (or section) by upgrade-ux. Be careful although that you define the array index correctly in the INI file (see example above). In the preremove section you typically define lines of software bundles that should be removed for one of other reason, e.g. when upgrading these would be problematic (in the way the software was designed - read badly). As said, if not needed leave this section empty. In the preinstall section we could define some commands that need to be run, but in most case we write small scripts to do specific tasks in this stage (or section) such as stopping some daemons, saving evidence of software inventory and so on. More about thiese scripts in Chapter 6 (The Upgrade-ux scripts). In the install section you typically only define the software bundles that should be installed and in the right order. For example, for update the installation software (update-ux or yum) before the new updates. In this stage we do not have much special scripts. In the postinstall section we define the software pieces that were missing in the install section for some specific reason (if any). Furthermore, in this stage we capture lots of evidence again and compare these via special scripts. Again see Chapter 6 (The Upgrade-ux scripts). In the postremove section you could remove software bundles taht were in the big update round of the install section, but should not stay on this particular platform for some reason. Again, you may leave it empty if not needed. In the postexecute section you could define commands and options of things you want to execute, e.g. The first part displays the system definitions, such as OS, hardware type and OS version. The second part shows the configuration part and which files it could find (or you may define, create and/or use). They do not need to exist. The mkdist workflow creates a compressed tar file of the current development tree, which only makes sense when you are using the git clone version of upgrade-ux. The compressed tar file is stored under /tmp file system and is called /tmp/upgrade-ux-0.9.tar.gz (the version can be different of course). The upgrade workflow is the real work horse here and in fact is the default workflow (meaning if no workflow is mentioned we will assume you mean upgrade). preview mode: is going through the complete flow checking all software and simulating an update of the system. Is a perfect way to examine your system to see whether any underlying issues could prevent a successful upgrade. You can do the preview (option -p) any time and as much as you like. However, before doing the upgrade mode you are forced to go through a successful preview mode as well. 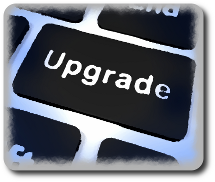 upgrade mode: is doing again all the checks, writing evidence and applying all the patch bundles or doing the upgrade. The system might reboot. After the reboot you can continue with retyping /opt/upgrade-ux/bin/upgrade-ux -v and it will continue from the point it was interrupted by the reboot as upgrade-ux keeps track of it stages. We already mentioned the evidence files which are kept under /var/opt/upgrade-ux/<YYYY-MM-DD>/ directory. The type of files you find under there are of course different according the OS, OS version and which software is installed. Furthermore, preview and upgrade mode may result in more or less evidence files. Starting up the program should be done by referencing the full path /opt/upgrade-ux/bin/upgrade-ux as the directory is not part of the PATH variable, and we prefer to keep it this way to avoid accidents. 2014-06-10 15:22:47 Running in "upgrade mode"
The last option that we bring to your attention in this Chapter is the force option (-F) which is handy in situation that for some reasons upgrade-ux does not want to continue due to serious software (patches) problems. For example, within HP-UX we run the check_patches command which when errors are detected will force an exit from upgrade-ux so that the System Administrator can first fix these patches (or any other issue) before re-running upgrade-ux again. We have seen cases it was impossible to get everything fixed and for that reason you may use the force option, but please do not use it by default. We advise to run the preview mode a few weeks in advance, but on a given day we must run the preview first again before we can run in upgrade mode. This is done on purpose to avoid mistakes. The prep stage is the preparation stage where we can save, copy lots of files as evidence (before we start patching). You could also use it to investigate if the health of the system is good enough to start with an upgrade and if not, warn the user and exit. The prepremove stage is doing what its name applies - remove software before upgrading. It may be a handy if you know old pieces of software could lead to inconsistencies. Usually, we make sure that a more recent version gets installed during or after the upgrade. The preinstall stage is used by scripts to stop daemons and other processes which may generate conflicts during the upgrade. The install stage is the part where we actually install software, do the patching or start with the updates of software bundles and drivers. This part must be described in the INI file (install section). The postinstall stage is mainly used to install extra software bundles which were mot part of the global patch bundles or update depots. Also here, these must be described in the INI file (postinstall section). Furthermore, we tend to save evidence during this stage (as we did in the prep stage) so we can compare if something trial was modified and if so, warn the user about it. The postremove stage is just there in case some software bundles must be removed again to avoid conflicts. Usually, this stage is empty. The configure stage is used to setup cron entries, user permission or whatever you can think of. Every time you enter or leave a stage the /var/opt/upgrade-ux/status gets updated with a timestamp and the stage name with an addtional notification of start or ended. Upgrade-ux will not delete this status file, but will always append to it so you get a nice historic view of all the runs. It depends on the OS architecture (see dump workflow) which scripts will be sources. In above example it was on HP hardware. The scripts found under these directories are only sourced when you run upgrade-ux on those HW architectures (make sense, no?). If you need new scripts just write a small script called my_script.sh (the .sh is important!) and it will be picked up the next time automatically. there is no need to make these small scripts executable (nor is it required to start with #!/bin/sh or whatever). LogPrint "Uptime of system is $daysup (>$DAYSUPTIME days) - recommend to reboot before patching"
Error "Uptime of system is $daysup (>$DAYSUPTIME days) - reboot is required before patching with $PRODUCT"
This question is only valid for HP-UX 11i systems which can be upgraded to a newer version of the Operation System (say HP-UX 11.23 to HP-UX 11.31), or even using update-ux to upgrade software bundles on the same OS version. We have encountered situations where the UNIX engineer by accident started update-ux on HP-UX 11.23 to patch with HP-UX 11.23 bundles, but using the HP-UX 11.31 depot, and therefore, update-ux started the upgrade process to HP-UX 11.31. As a result we needed to recover from an Ignite/UX image before restarting the patching round again. By using upgrade-ux this simply becomes impossible as all update paths are described in the configuration files. 8.3. How do we install a patch bundle from 1 or 2 years ago? You might wonder how we define the SDSERVER? And, is it possible to overrule it with your preference? The SDSERVER variable is used a lot in the INI files and points to an IP address or FQDN of an software depot server where the software depots are stored. The SDSERVER variable is defined by a script scripts/init/hp/30_define_sdserver.sh and tries to figure out the region you are located in. Be aware, this script only works well for one particular customer (the sponsor of this project). Obviously, you need to replace the name my_sdserver.company.com with the correct name of the software depot server. The forced reboot was introduced into upgrade-ux, because sometimes servers got patches after running over 1 year without a single reboot and to avoid pin-points to bad patch bundles we decided a recent reboot was required (by default 30 days uptime is the maximum we tolerate). However, in rare cases, some customers want to extend this period to 60 days. So, how to do this? However, be aware, if you increase this value then do not file an issue against upgrade-ux!